If you would like to lose weight and stick to your keto diet, there are things about this diet you should understand. Many beginners complain about certain changes that happen to them when they embrace a ketogenic lifestyle and sometimes this could discourage them from continuing with the diet. A keto diet is a high-fat, low-carb diet that could give you many health benefits, so if taken well it could improve your health. 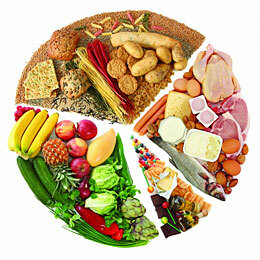 If you are looking to embrace this diet, here are some guidelines you need to know about. Before you even move into some of the types of foods you need to embrace, you should understand that switching to a keto diet comes with some effects on your body. Some people will experience the keto flu, which happens a few days after the transition. Symptoms of the keto flu are sometimes extreme and will make some people to give up, so if you are starting out don’t give up as this is a process that happens as the body tries to adjust to the new diet. It’s a temporary condition that should cease in few days. The food you take in the morning will influence how your day will look. That’s why you need to opt for keto varieties that are suited to give you the energy you need to start the day. A good idea would be to come up with a list of ingredients including bacon, eggs, spinach, and mushrooms for the breakfast. This may look basic but it offers a satisfying diet that is also delicious. It’s a common assumption that a keto diet is all about bacon, but you need to also throw in some greens in plenty. You can still consume high fat foods like meat, but don’t forget you need vegetables for they also contribute immensely towards your health. Doing high fat foods alone is doing keto in the wrong way, so check that you have created a balance of fat and vegetables to have a complete diet. To easily manage a keto diet, it’s advisable to take a single day to plan out meals you will take in the entire week. Many people don’t have enough time to make meals and having to think about what to eat takes up even more time. Planning ahead is good because it will give you room to prepare and get the ingredients you need for various meals. You can borrow ideas from Pinterest and other online platforms that share keto recipes. It’s a common complaint that a ketogenic diet consumes a lot of time because you have to prepare everything. However, this should not be the case because there are snacks that are made with ingredients that are constituent of the things you need for your keto diet. You can get a wide variety of foods on the go in your local supermarket that will keep you motivated to go on with your keto diet. Some of the convenient snacks you should try include hard boiled eggs, dried meats, pre-chopped vegetables with dip, and pre-cooked bacon. Embracing a keto diet is a good idea that will help you to lose weight and also improve your health. There are few challenges you might encounter when you are starting, that you should not succumb to. Ensure your diet is measured well to get the calories you need and consider including vegetables and some fruits on top of foods high in fat.